My name is Alyssa and I’m a bit of a Hapa mutt. To be honest, I’m still unsure of my exact mix. As far as I know, I’m half Japanese, a quarter Irish and the rest consists of Italian, Swiss, Dutch, Spanish, German, Danish and English. I have one younger sister, same mix and she happens to look completely Latina now lol. I’m not exactly sure how that worked out. I was born in the San Francisco Bay Area and I’ve lived all over California throughout my lifetime. I am currently living in San Diego with my new husband who is also Hapa. I’ve always known that I’m a huge mess of races, but when my parents got divorced I spent most of my time with my mother. This caused my Japanese half to become a larger part of who I am. From a young age, my mother made sure that my Japanese heritage was never forgotten. I am a Sansei, third generation Japanese. My grandparents moved to The United States in 1969, within one year they had my mom and the next year they had my uncle. When we were young, my sister and I would always go to my grandparents, where I learned to speak Japanese because they knew very little English. My sister and I were taught all about different traditions and superstitions. My mama-chan (a name that my obaasan made up so that she wouldn’t feel so old), is a traditional Japanese dance sensei. 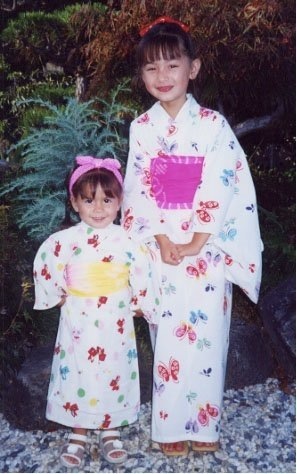 Since I was 6, I was dancing and performing, dressing in kimonos and shiro-kesho (white makeup). My sister and I were raised as Jodo-Shinshu Buddhists. We were constantly surrounded by tons of Japanese culture. We would participate in the annual Bon Festival and New Year’s celebrations. My grandparents taught me how to make my favorite Japanese dishes and my mother helped to incorporate American foods. Our family Thanksgiving celebrations are the clearest example of this integration. Our family table is always covered with both Japanese dishes and traditional American Thanksgiving food. To be honest, being multiracial never affected me as much as my mother was scared it would. She would always be worried of me getting prejudiced. She was very loving and protective, and new hardship from her childhood as a Nisei. She shared horrific stories of her past and made sure to prepare my sister and I for anything. For that, I am grateful. There is only one way that it did affect my childhood and that was in school. I always felt like I never fit with the white kids because I was Asian, but I was too white to fit in the with the Asian kids. I was too dumb to be Asian, but too smart to be white. I had a lot of confusing times in school, just trying to find a place. It took until the end of high to realize that my ethnicity played no part in who I choose to associate myself with. Thankfully, I came to that conclusion and it was enlightening haha. I would never wish against being Japanese. I love it. It is such a large part of me and although my husband is Chinese/White, I intend to do all that I can to keep my Japanese heritage strong for my children and grandchildren. I want them to know where they come from, I want them to learn Japanese and keep Japanese names and cultural traditions. Being Hapa feels like such an extraordinary gift. Although we are becoming more common, we’re still rare. I feel like multiracial people are symbols of how much the world has evolved. Oh my gosh. 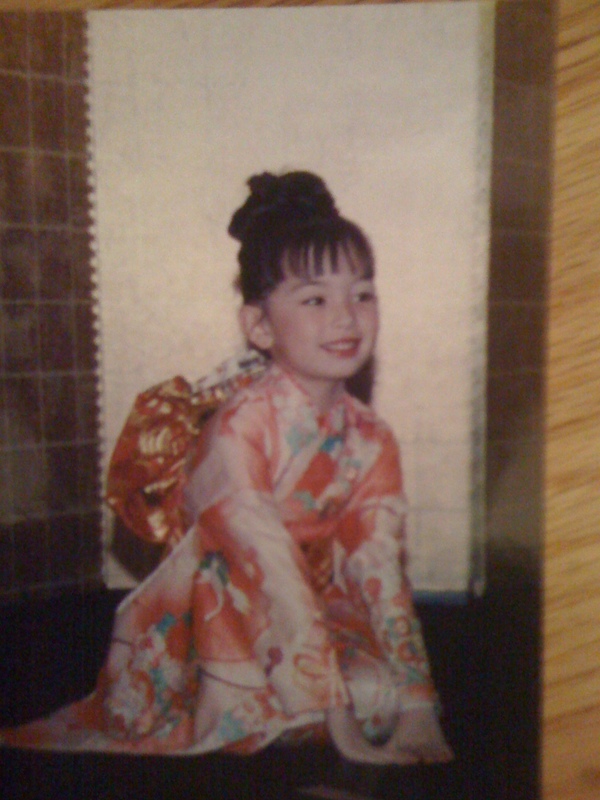 I typed in google, “hapa” and your childhood photo of you sitting down in your kimono popped up, and I freaked out because it looks exactly like me when I was little! Almost twin like it is crazy. Loved your story! You are a beautiful Hafu!